Can the lotuses in a lake stay ever together? Here is an extract from the late 14th Shamarpa’s book “A Golden Swan in Turbulent Waters”, about the life of the 10th Karmapa, Choying Dorje. It illustrates their close relationship as student and teacher. 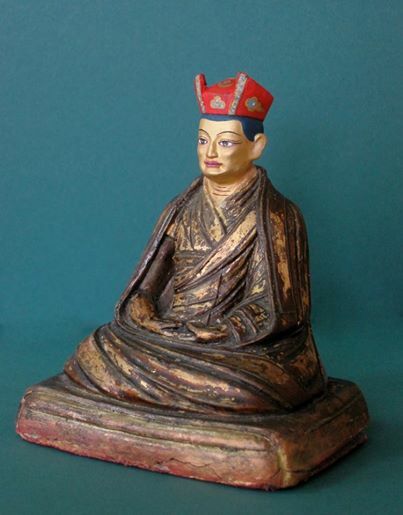 Then I [Karmapa] was very sad. Usually when bodhisattvas have finished their work in one planet, they will go to another planet to help. There are two reasons for their passing. The first is to teach people about impermanence; to teach them about the problems of self-clinging due to ignorance and how to solve them through the teachings of selflessness and meditation. When the teachings have been given, the bodhisattvas show the impermanence of physical form and life by their own passing. The second is to further engage in bodhisattva activities for sentient beings elsewhere, as they wish to liberate limitless sentient beings.
. . . Shamarpa then said that because we were jointly engaged in bodhisattva activities together that we would forever be each other’s helper. I knew then that it was his last teaching to me – that he would pass away very soon. [The next morning] Shamarpa entered parinirvana without any pain or suffering. This entry was posted on Monday, July 14th, 2014 at 9:03 pm and is filed under Shamar Rinpoche. You can follow any responses to this entry through the RSS 2.0 feed. You can leave a response, or trackback from your own site.